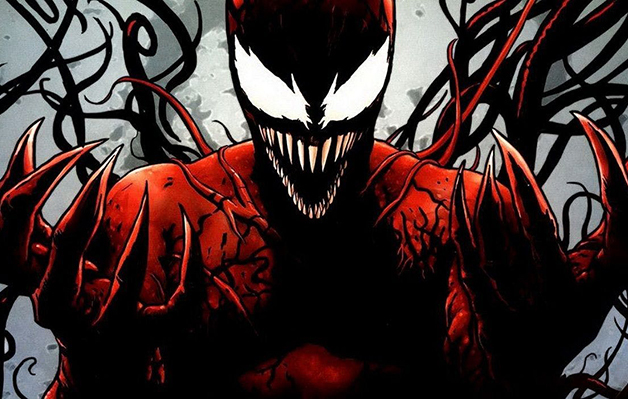 With Venom due to come out later this year many fans are hoping Carnage will appear in the film but personally I feel this is unlikely. If you are not really into comic’s then I will fill you in on who these two guys are. Venom is comprised of two parts, the first part is Eddie Brock, a failed journalist who blames Spider-Man for all his misfortunes and the symbiote, this is an alien known as a Klyntar. The Klyntar have the ability to merge with other creatures increasing their speed and strength along with giving them a variety of other abilities. For a short period of time Spider-Man was bonded with one of these aliens till he eventually rejected it, after the rejection it found it’s way to Eddie and together they became Venom. Venom was eventually defeated and Eddie found himself locked up in prison there he would meet Cletus Kasady. When Eddie eventually escaped from prison by once again becoming Venom he would leave something behind, Venom had spawned another symbiote. This symbiote would go on to bond with Cleutus who together would form Carnage. Unlike Venom this villain has no morals and freely kills who ever they want, they are truly a terrifying force to behold, imagine the joker but on bath salts and with a pension for burning things. 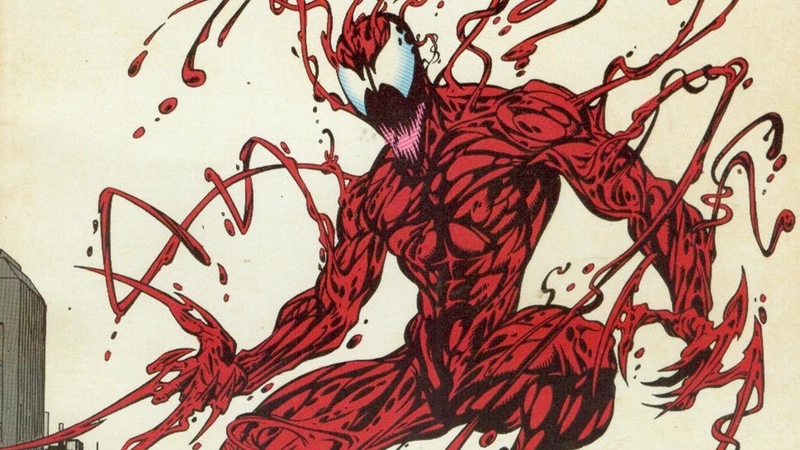 Carnage is a fan favorite, mostly because he is an exciting character and always compelling in each of his appearances. You truly never quite know what he is going to do, not only that he is visually stunning to look at, appearing like a creature direct from your nightmares. But the chances of him appearing in Sony’s new Venom film are slim to none. 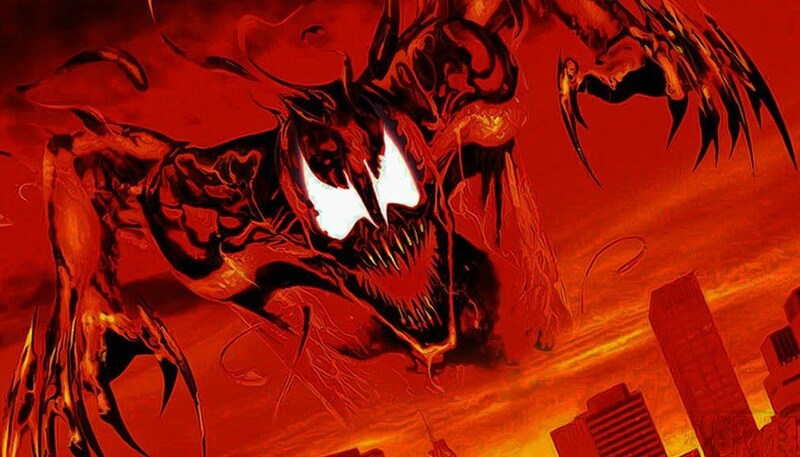 Carnage is a big deal and will require a lot of screen time, if they want him done right that is. Not only that but if you want to do Carnage right then your going to need to make an R rated film. Currently Venom already has one villain with the possibility for a second. Squeezing someone as awesome as Carnage in would be wasted potential and therefor pointless. Though Woody Harrelson has been cast in an unspecified role and if he was maybe a criminal that was used as a test subject for a new symbiote that could be a great way to introduce the character and if you have ever seen Natural Born Killers then you will know Harrelson would be perfect for the role of Carnage. Though having Venom go up against another character with similar powers could be rather boring, so Harrellson would be an excellent choice especially since he would be able to make the character truly stand out. My only major beef with all this is that Sony are trying to have MCU adjacent films and ironically if Disney and Sony agreed to work together then both companies could stand to make a lot more profit from these characters.